Classic green Gatorade squeeze bottles. Holding 32 ounces, these squirt sports bottles are ideal for sports team players to replenish their bodies and protect them from dehydration. Each case contains 100 Gatorade squeeze bottles -- which can make any athletic trainer's dreams come true! 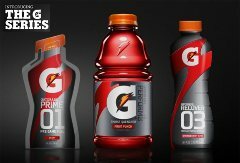 - See more at: http://www.hydrationdepot.com/wholesale-gatorade-squeeze-bottles-32oz.html#sthash.hClassic green Gatorade squeeze bottles. Holding 32 ounces, these squirt sports bottles are ideal for sports team players to replenish their bodies and protect them from dehydration. Each case contains 100 Gatorade squeeze bottles -- which can make any athletic trainer's dreams come true. 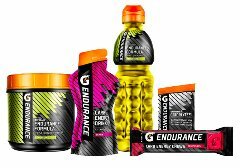 Free Gatorade Sideline Towel when you purchase 1 Box (21 sleeves) of Gatorade Endurance Chews and 1 Case (12 bottles) of Gatorade Protein Recovery Shakes. Select from Fruit Punch and Orange Chews with either Chocolate, Vanilla, Cookies & Cream or Peanut Butter Chocolate Protein Shakes. Try the new bars which come in chocolate chip,� chocolate caramel and cookies & Cream with 20 grams of protein per 2.8oz bar. A great way to maximize what you put into your workout and to help you come back stronger.� Unlike other protein bars that are chalking and have an unpleasant aftertaste, Gatorade Recovery Bars are filled with crunchy whey protein crisps and lightly coated in chocolate. Gatorade Whey Recovery Protein Bars are available in the following flavors: Chocolate chip, Chocolate caramel. Chocolate Peanut Butter, Chocolate Pretzel, Cookies and cream, Mint chocolate crunch or Variety pack.